If you are looking for some free Business English lesson plans, click on some of the links above and try out some of my lessons. On each page you will find a downloadable printout with teachers' and students' notes for that particular lesson. 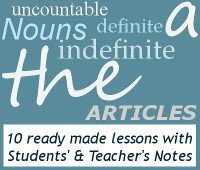 If your students have not come to you specifically for Business English lessons, but are old enough to read a newspaper, you can also use these lessons for general ESL lessons, as they cover a wide range of interesting subjects. 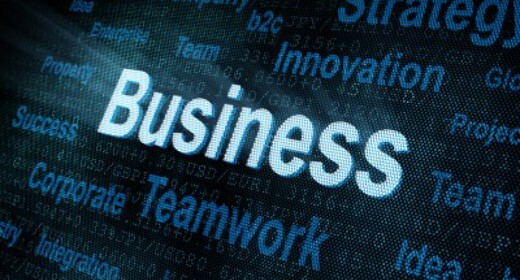 Teaching Business English is not that much different from general English lessons. Many of the same principles still apply. Find out from the students exactly what their needs and interests are, and focus on meeting those requirements. The students should feel that they are developing in their areas of need, and they should also be finding the classes interesting. Make sure the students do most of the talking, not the teacher. In business English lessons, these can simulate real life situations that they will be facing, like presentations, role-plays, relaying information, discussions where they have to come to a common consensus, complaining etc. Teach the students the correct vocabulary and phrases for their specific tasks, so that they can disagree politely, present professionally and relay information accurately. Follow exercises up with a written task, so that they can revise the necessary points, as well as improve their writing skills. One of the main differences between general English and Business English, are the resources that you use. Get the students to bring in their own e-mails, letters, correspondence etc, and therefore focus on their specific problems and areas that need improving. The Harvard Business Review website is packed with free articles and blogs that cover a large range of business related subjects. For listening lessons, TED offers a massive range of videos by motivational speakers from all areas of life. The Economist also (very conveniently) have their articles free online. The BBC have short articles from the news in written and audio format, which can be used to liven up a lesson.